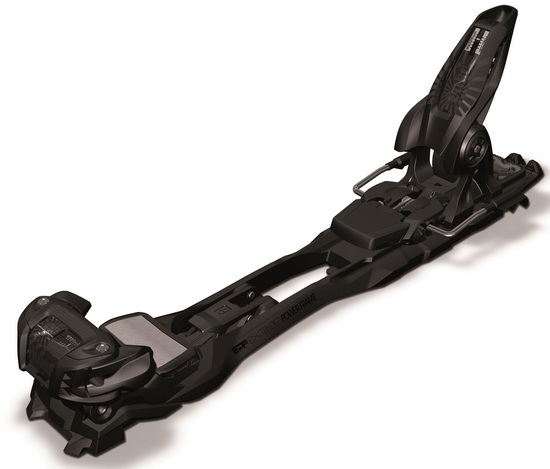 2018 Marker Duke EPF Alpine Touring Ski Bindings are one of the most talked about bindings for this season. The 2017 Marker Duke 16 EPF features Marker's new Extended Power Frame chassis, 28% wider than the original. This means yours skis need to be at least 88mm's in the waist in order to even mount the Marker Duke 16 EPF on them. The 2018 Marker Duke is built for the big mountain freeskier who wants an easy climbing function combined with the ultimate in security and performance for coming down the mountain. The Duke is the perfect choice to help big mountain enthusiasts get to those secret remote spots, with the confidence that new Marker technology will get them back down the mountain safely. The hiking aid has 3 positions, 0, 7 and 13 degree. If you are looking for a touring binding with less stand height then you should look at the all new Salomon Guardian Bindings. Bigger, better and 28% wider. The screw pattern on the 2013/14/15 Marker Duke 16 EPF is 10mm's wider than the 2012 and older model Duke. What this does is provide unbelievable power transmission. This is also the reason why your skis will need to be at least 89mm's in the wait to mount the Marker Duke EPF. The Marker Duke climbing aid offers 3 positions -flat, 7, and 13 degrees which can be easily accessed with a ski pole. Marker introduced the concept of passive safety, and the Duke continues in that tradition. With the lever secured under the boot, you can be sure your binding cannot switch back into touring mode - that's the safest way to ski the big stuff! In addition, when the skier goes into touring mode, the entire interface moves back 4cm for better balance while climbing and easier kick turns.